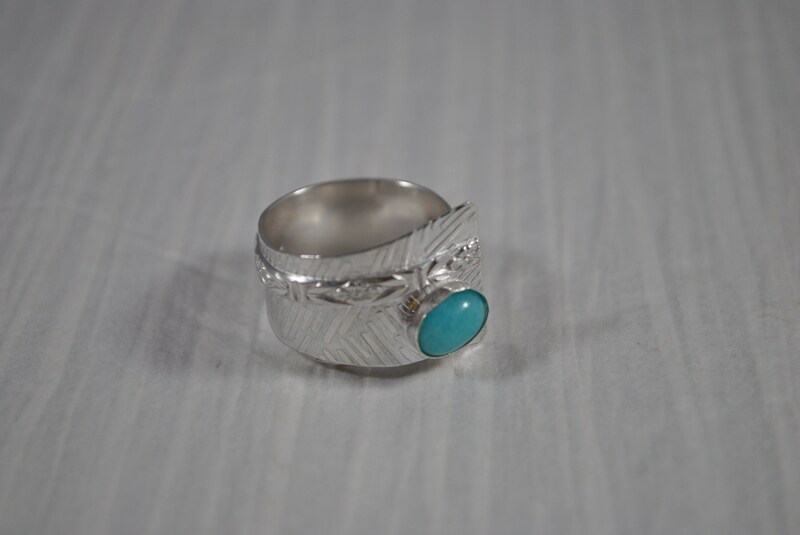 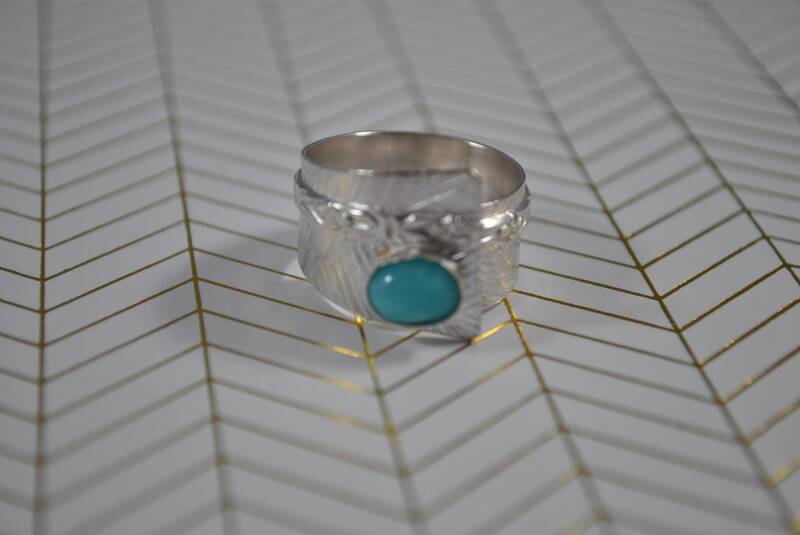 Sterling silver adjustable band teal Amazonite ring. 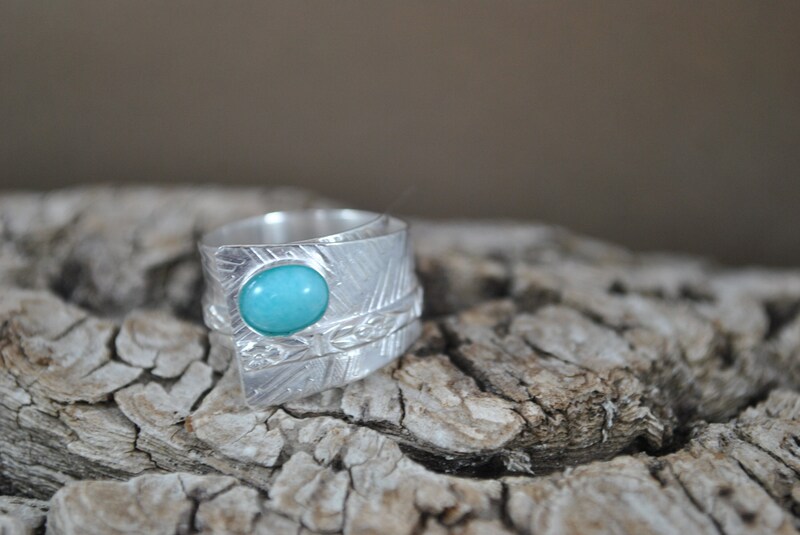 This special ring has a modern leaf texture on the band which has a genuine Amazonite and accent band. 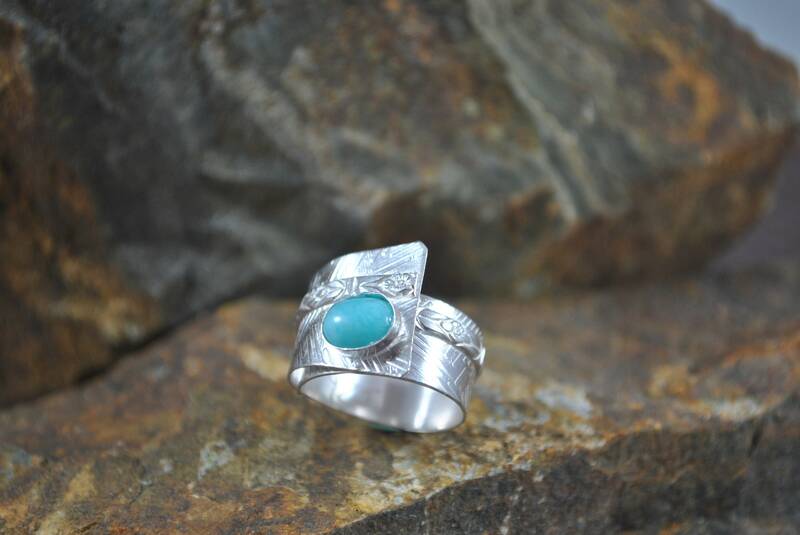 It fits most women from size 6 to 9. 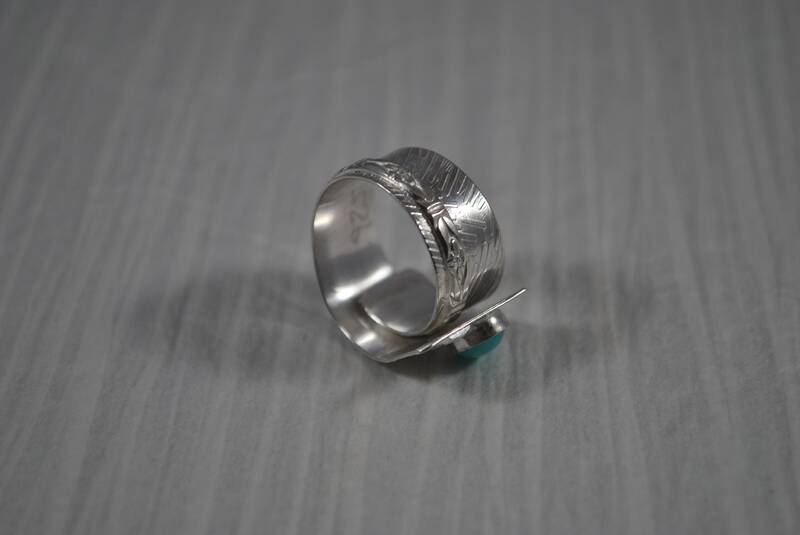 The band is not too wide for comfort, 10 mm.